The holiday season is upon us at full force! Wow...I'm always amazed that the time between Thanksgiving and Christmas seems to fly by at warp speed. One thing that I love to enjoy during this season is a delicious peppermint mocha. The nutrition stats on a tall (that's barrista speak for a 12 oz.size) peppermint mocha at Starbucks can be eye opening! For a whole milk with whip drink it comes in at 350 calories and 15 grams of fat! Yikes! This year, they are actually giving you the option of making it skinny...which is awesome. The tall Skinny Peppermint Mocha is a respectable 100 calories and 1 gram of fat...of course, it doesn't have any whipped cream and it is made with artificial sweeteners. It's also kind of pricey at around $3.50 a cup. What's a Peppermint Mocha loving girl to do?? Make her own skinny version, of course! What makes this no calorie sweetener stand out is the use of high quality peppermint ( and yes, you CAN taste the difference) blended with their wonderful non-bitter tasting stevia. If you are interested in finding out more about Nunaturals and their full line of non-bitter tasting stevia products go HERE. If you are interested in receiving free samples of Nustevia for yourself, go HERE for details. In a large mug, combine the coffee, fat free half and half, chocolate syrup and Peppermint Nustevia. Stir. Top with Cool Whip Free. Garnish with a candy cane or sprinkles, if you wish. You may be wondering if you could make this entirely sugar free by using a sugar free chocolate syrup. The answer is YES, but I have yet to find a good tasting sugar free chocolate syrup and you would be using some artificial sweeteners if you did. But... you could do it to make it even lower in calories then my version. Honestly, I really like the balance between the sugar and the stevia in this drink. If you haven't tried Nunaturals products, I urge you to send for the free samples. (See above on how to do this!) This company has some amazing, all natural, no calorie sweeteners that are so helpful in lowering calories without sacrificing taste. I think you will be pleasantly surprised! Such a busy time of year! I am caught up in all the tasks that need to be completed...AND I get to help my daughter get settled in her housing in NYC for the upcoming semester and shuffle around housing for my other college kid. Never a dull moment! I do have some really exciting things planned for the very near future though...I received and awesome cookbook in the mail over the weekend to review AND I will be doing a giveaway along with it! Woo hoo! On a side note, it's really hard to get decent pictures this time of year, with the sun setting around 5pm so I apologize for the lack luster pics that have been showing up here lately! I love that you made a lighter homemade version! This looks delicious and holiday appropriate! 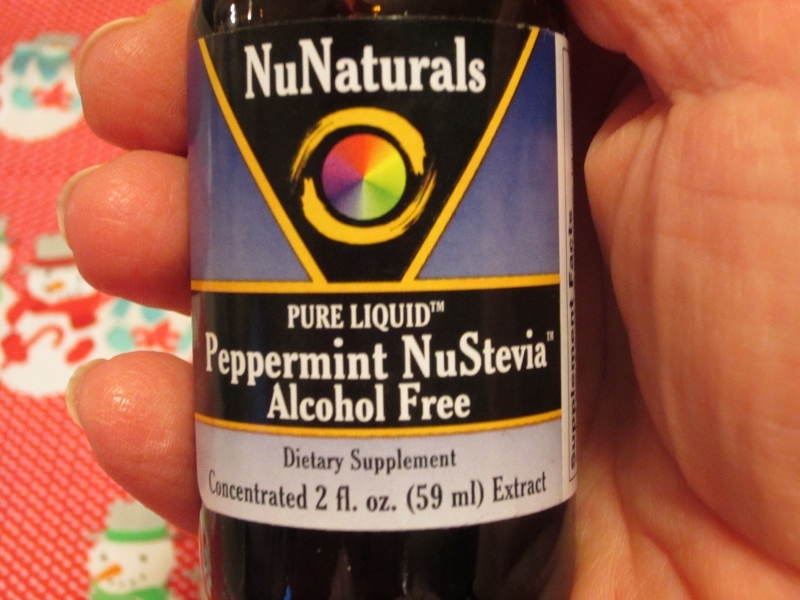 What would be a great substitute if we do not have the NuNaturals vanilla and peppermint stevia? I haven't experimented with different things to replace the Nustevia products in this drink. 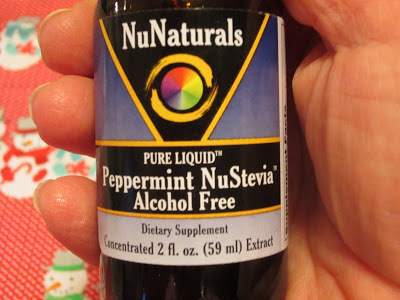 I think you could try using vanilla extract and peppermint extract, along with some sort of sweetener in place of the Nustevia drops...but you'd have to play around with the amounts. I've been using NuNaturals sweeteners since I first read about them. I usually buy them online but find them also at Whole Foods. I've ordered the new chocolate stevia drops and the company said they are already sweet. I'm looking forward to trying them. Excellent products. Thanks to your giveaway, I'm a NuNaturals fan myself. I still buy the little packets to put in my coffee, though the vanilla drops are all gone. I still have the chocolate ones though--I should try putting them in my coffee or something. I didn't know they had a peppermint one, that sounds really good! 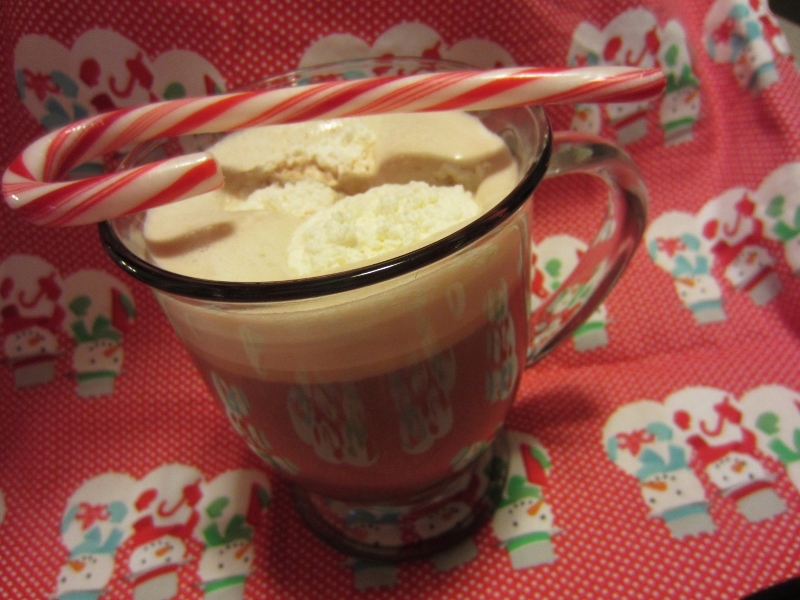 I just pinned another recipe for a skinny peppermint mocha but this one is totally different and sounds just as good! That THAT Starbucks! :) Kidding... but you sure give them a run for the money with this one Renee. All the best!!! I'm also a huge fan of NuNaturals products. I was sent a bottle of this new flavor but have yet to try it. I so want a hot mug of this Renee! This brand of stevia is the best tasting sweetener I have tried. Sounds like your month is extra busy with helping the kids settle in. It's so wonderful that you can do that with them. The college years go by so fast! Enjoy your time together, happy holidays!